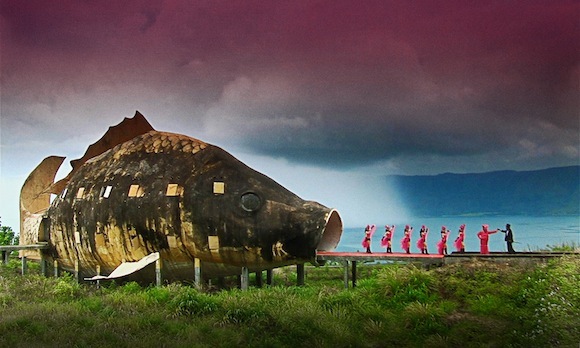 In this chilling and inventive documentary, executive produced by Errol Morris and Werner Herzog, the filmmakers examine the Indonesian death squads that murdered hundreds of thousands in the 1960s and are today celebrated as heroes. The film team challenges the killers to reenact their crimes in the style of the American movies they love. The hallucinatory result is a cinematic fever dream that “could well change how you view the documentary form” (Los Angeles Times). Courtesy of Drafthouse Films.